The news became apparent last weekend, but we paused until it was 100% - and now it is. Risi Competizione will return to the ALMS this season, for a full season of competition with one Michelin-shod Ferrari 430 (for Ralf Kelleners and TBA) - while a second car is likely to run in the longer races later in the season. Risi was present in 2005, in a supporting role with the Maserati MC12. The Ferrari 430 is strongly rumoured to be a leap forward from the 360 GTC - with more power and torque, partly thanks to four valve heads, rather than the five of the 360 model. 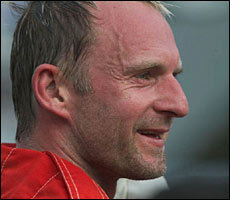 Ralf Kelleners is pictured immediately after Giuseppe Risi's team's victory at Lime Rock Park in 2004. 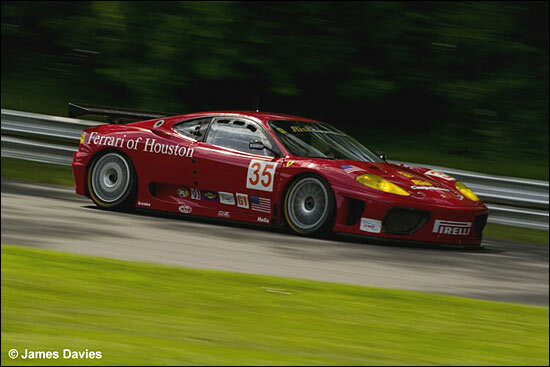 The Ferrari ran on Pirellis that year.